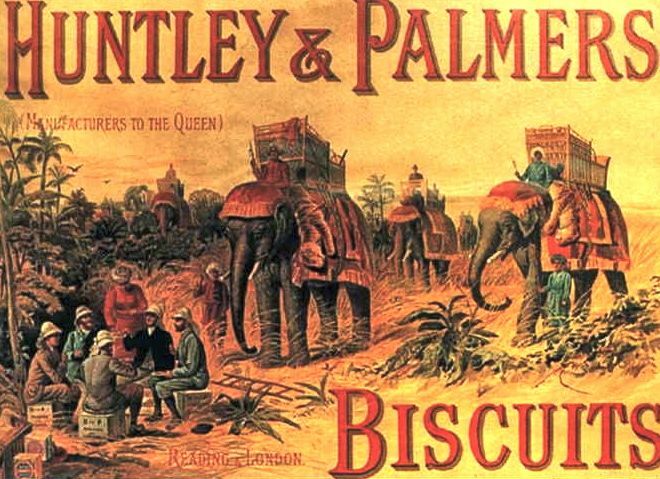 Exoticism in Britain even extended to marketing of products. During most of the 1800s, Britain was the master of the world with an empire on which “the sun never set.” In other words, the empire either occupied or had outposts in areas so widespread around the globe that the sun was always up over some part of their empire. In Britain, it was the height of style to own, embrace, or be aware of the latest exoticism from the far flung reaches of the empire. 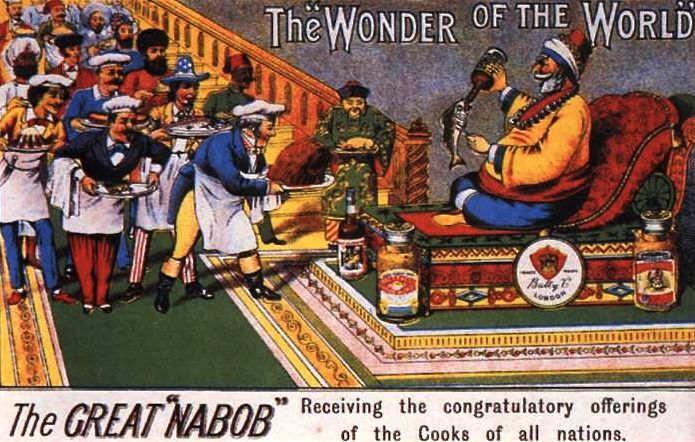 Nabobs (those with high positions in exotic lands) brought their newfound tastes back with them to the mother country. 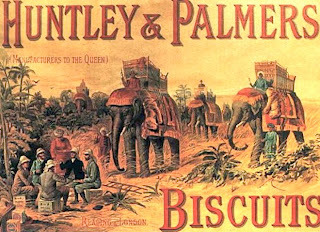 One part of the empire which greatly influenced life at home was British India (known as the period of The Raj). Many English tastes owe their genesis to this period. 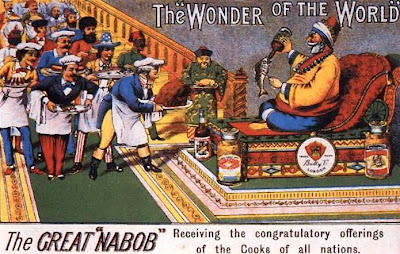 The spread of curries to England is owed in great part to returning occupiers who acquired a taste for spicy foods when stationed there. Recipes were brought back and the British altered them to suit their own tastes. Chai tea is another. There is nothing more British than tea, although the climate is completely unsuited for growing it. 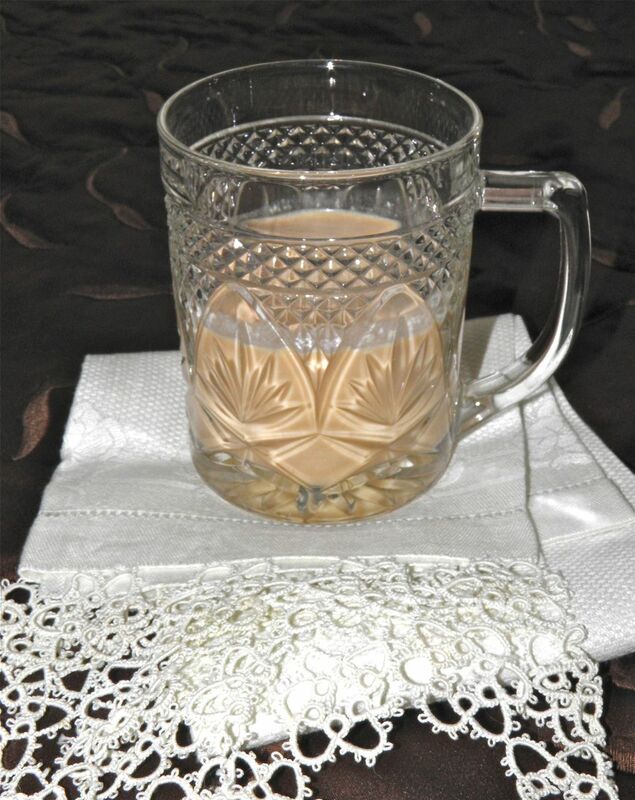 Chai is spiced tea that originated in the northern parts of India, Nepal, Pakistan and Tibet. If you’ve never had good Chai tea you should try it. It’s not at all like tea, and quite pleasant. You could use just the spice blend of the following recipe, and a normal amount of tea, to make it. I decided Chai would be a good candidate for a cream liqueur. It was storming on Saturday and I felt it was a good time to stay in the kitchen and "experiment." This recipe—my own invention—is now a favourite. It’s difficult to describe. I would say it is closest to homemade Irish Cream, but that’s not quite right. The taste of the cardamom is forefront, followed by ginger, cinnamon and cloves. The tea is there, but way down on the scale. It’s an amazing taste, for certain. I know you will enjoy it. Combine the tea, water and spices in a saucepan. Bring to a boil and simmer on low for 15 minutes. After the 15 minutes, remove the tea bags. Squeeze liquid from the tea bags back into the pot. Reheat the liquid with only the spices and allow to simmer for 5 more minutes. Strain out the solids. You will have a very dark brown mixture that smells and tastes very much like tea. Measure the liquid. It must be 1 cup (*top up liquid to 1 cup if necessary, or boil to reduce to 1 cup if over volume). Add the sugar to the saucepan and bring to a boil. Instantly remove from the heat and let cool completely. If you don’t cool this mixture completely you will scramble the eggs in the next step. Place the cream and eggs in a blender. Pulse to blend. Do not whip. Combine the tea and vodka. While blending on low, pour into the egg cream mixture. Chill before serving.